Can you trick the eye and blend a book cover with reality? Give it a try and share your photo! You may remember sleeveface where people have used album covers to create illusions by superimposing the cover over their bodies and taking a photograph. 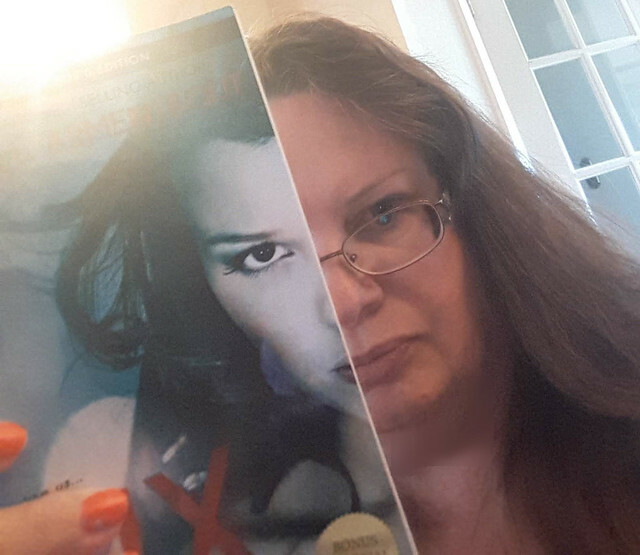 Then came bookface! Check out your bookshelves, can you put yourself on the cover and in the picture? #oext240 @ontarioextend borrowed a wand from my daughter!